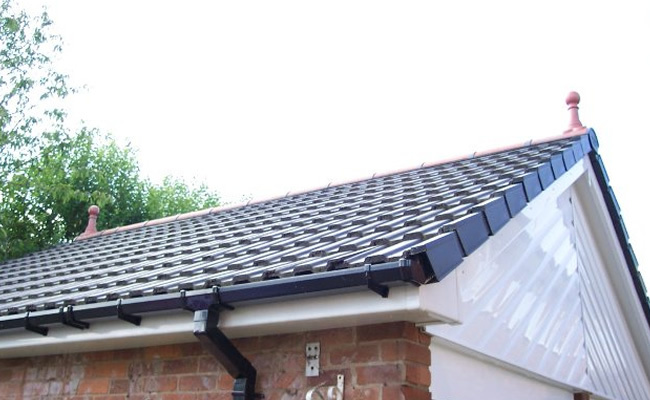 All Drives & Patios Ltd take great pride in being one of the most popular and recommended Companies for the Complete Replacement of your uPVC fascias, soffits, roofline, guttering and flat roofs. 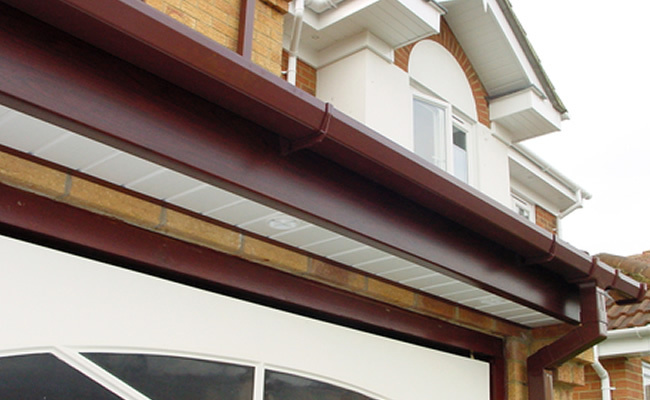 Replacing fascias and soffits to your home is a cost effective way to improve the appearance and value of your home. 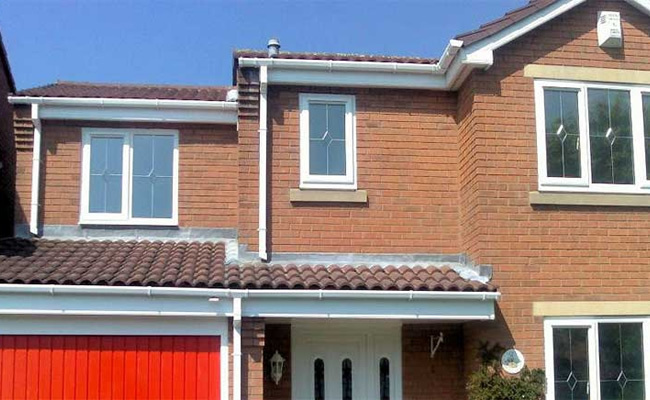 We use quality UPVC products which are low maintenance, economical and long lasting. Modern UPVC replacement fascia boards, soffit boards and guttering can all be easily replaced quickly and with little disruption. A choice of styles and colours are available to suit your property. As we all know, wood is a porous material. Once water has breached the outer layer, it is a matter of when and not if it will need replacing. This then paves the way for woodworm and many other vermin to set up home ultimately causing structural damage. 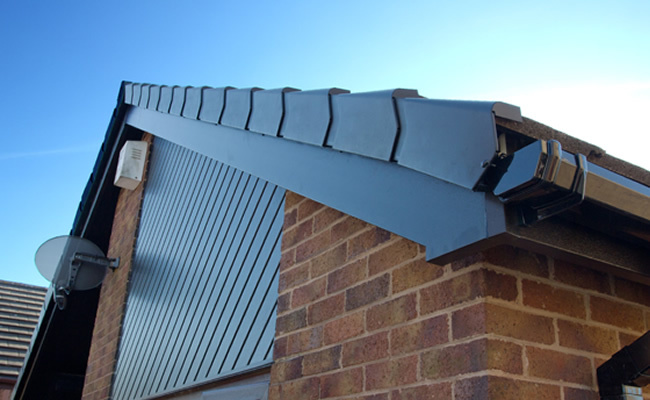 UPVC rooflines will not rot, will never need painting, do not discolour and will remain maintenance free for up to 40 years. All they will require is the occasional clean with warm soapy water. Circulating air in your roof reduces build up of condensation which causes damp, mould and rotten timbers. Ventilation systems ensure a long-life for roof timbers. 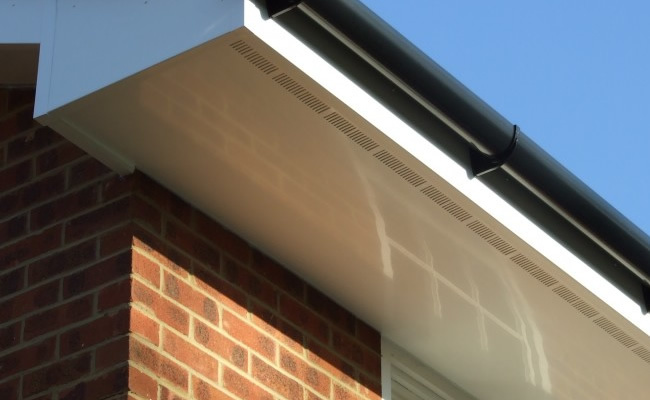 Choose between discreet over UPVC fascia ventilation or soffit air vents to protect your UPVC roofline and roof from moisture retention. Rotten timber fascias are usually the result of water ingress, via broken tiles, cracked verges or damaged felt. The old exposed strip of felt is the area most prone to damage. Often the fascia exterior looks intact, masking the deterioration behind. 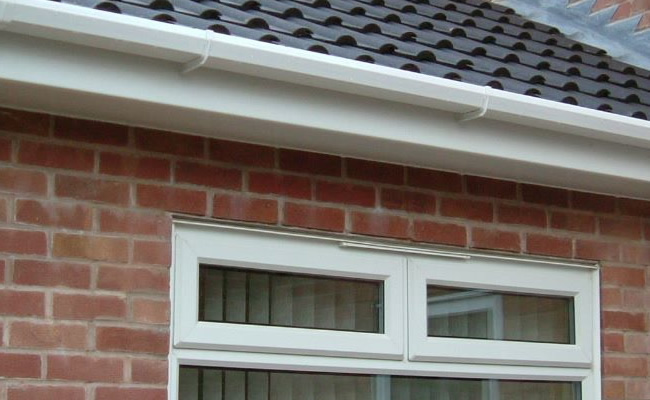 Inspection and replacement of eaves felt is an essential part of UPVC roofline installation. Keep gutters free from debris with Gutter Guard from Homeline. Effective in preventing leaves, twigs, moss and birds nests from blocking rainwater flow. For added protection against infestation, why not opt to have insect guard installed above you vented soffit boards. Insect guard will form an effective barrier against unwanted vermin in your roof space.